To many, my Saturday church attendance appears to be out of step with the Sunday Christian tradition. They wonder how I can be so confused as to go on the “wrong day.” So, exactly why do I, and millions like me, choose Saturday over Sunday? Consider these three reasons that may surprise you. 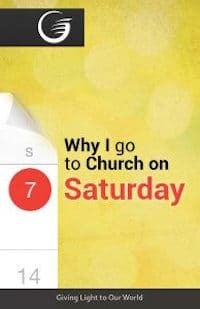 I go to church on Saturday because it is biblical and Sunday church attendance is not. While God welcomes worship every day of the week, He set aside the seventh day as a special day of rest. This day is called the Sabbath and corresponds with Saturday. It was given to humankind at creation, about 2,000 years before the Jewish people existed (Genesis 2:1-3). Jesus said the “Sabbath was made for man”—not just for Jews (Mark 2:27). At creation, God performed three deliberate acts to make the seventh day uniquely different from the other six—He rested, blessed, and sanctified the Sabbath (Genesis 2:2, 3). This is extremely significant. First, we need rest from labor and time to reflect. God wired us this way. This is why He drew us aside that very first seventh day of creation for special time with Him. Second, God packed a spiritual blessing into the seventh day that He didn’t put into the other six. Lastly, God drew a boundary around this 24-hour period and designated it as a day to be wholly dedicated to pursuing a relationship with Him. If we examine every verse in the Bible on the Sabbath we discover some amazing things. All the Old Testament people of God enjoyed its blessing—and we must remember that until Abraham no one was Jewish (Genesis 11:26). Jesus honored the Sabbath by keeping it every week (Luke 4:16). The disciples kept it (Acts 18:4, 11; 16:13). It will be kept in heaven and the new earth (Isaiah 66:22-23). The Bible presents an unbroken cycle of Sabbath observance from man’s creation to the earth made new. So why do most Christian churches worship on Sunday? The answer—tradition. You see, the Bible never records God changing the Sabbath from the seventh day to the first. The only change of God’s law mentioned in Scripture is attempted by a clever inside attack on the church (See Daniel 7:25). Sabbath keeping is not legalism. “If you love Me, keep My commandments” (John 14:15). The fourth commandment has never been changed by God—only by man. Since the Sabbath is the Bible day for weekly worship, and since Jesus kept the Sabbath Himself, I observe the Sabbath out of love for Him. There are many reasons why I love and obey Jesus. Two primary ones are that He is my Creator and Redeemer (John 1:1-3; Titus 2:14). Jesus created the earth in six days and rested on the seventh. The Sabbath is God’s official memorial or “sign” between Him and His people that He is our Creator (Exodus 31:17). 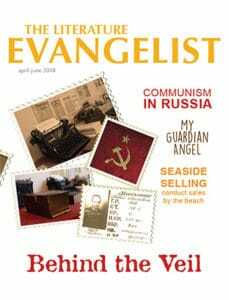 And just prior to Jesus’ return, a message from God calls everyone to “worship Him who made heaven and earth, the sea and springs of water” (Revelation 14:6-7). Every time I “remember the Sabbath day, to keep it holy,” I honor my Creator as the one who holds my life in His hand (Exodus 20:8-11). Not only did Jesus create humans, He also redeems us from sin. The Sabbath is a special sign of this salvation—“a sign between them and Me, that they might know that I am the Lord who sanctifies them” (Ezekiel 20:12). Refraining once a week from secular employment to support ourselves reminds us that we can’t work to earn our eternal salvation—it is a gift of God, and we are wholly dependent upon Him (Hebrews 4:4-10). If I can’t trust God to care for my earthly livelihood one day a week, how can I truly say that I trust Him for my eternal life? Every Sabbath reminds me of the love Jesus has given us through creation and redemption. Just as anniversaries are memorials designed to refresh our love for those closest to us, so the seventh day Sabbath reminds us of God’s love and our utter dependence on Him for life in this world and the next. The third reason I keep the Sabbath is because I’ve responded to Jesus’ invitation to try it and see if His Word is true. God often invites us to test Him. One such occasion is in Malachi 3 where He challenges us to give Him one-tenth of our income. To those who accept, He promises to pour out a blessing. The Sabbath also contains a challenge. God invites us to give Him one-seventh of our time. If we do, He promises to bless us. “If you . . . call the Sabbath a delight . . . then shall you delight yourself in the Lord” (Isaiah 58:13-14). I experience this Sabbath blessing every week. Resting on the Sabbath restores me physically, mentally, socially, and spiritually. It de-stresses me from the burdens of life. I enjoy uninterrupted time with family and friends that keeps our relationships alive. Worshipping with fellow believers energizes me. I gain insight and inspiration from Bible study and sermons on the Sabbath. The Sabbath gives me a reason to stop all earthly pursuits every week. Since it is God’s command, it leaves no room to compromise for a pressing project at work, or any other thing that might come up. This protects the Sabbath rest from simply becoming a good intention that I will get to one day. It is God’s command—no questions asked—so I happily do it and leave everything else to the other six days as God says. I found Jesus’ words to be true—He made the Sabbath for man (Mark 2:28). That is, the Sabbath is not something that God does to us, but is something wonderful He does for us. In this busy age in which we live, I treasure all of the positive blessings that I get to experience, because God has kindly given us the Sabbath. I understand that my going to church on Saturday may appear strange. But now you know that I do it because I am committed to following the Bible, I love Jesus as my Creator and Savior, and I have discovered God’s Sabbath blessing. You can also enjoy this wonderful experience. If you’d like to know how, or you want more information, just contact GLOW and they can help you.